Save up to $2,000! Book all three and receive three complimentary nights. Valid for stays between May and September, this year and next. Please inquire with a Knowmad Trip Specialist for details by phone at 612-315-2894 or by email at travel@knowmadadventures.com. Awasi Atacama A charming adobe hotel in Chile’s striking Atacama Desert. 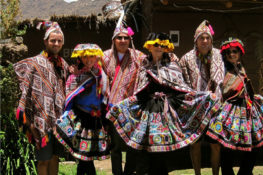 Awasi Atacama is an eight-room luxury hotel located in San Pedro de Atacama, Chile. 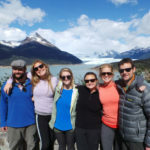 The hotel staff at Awasi are extremely knowledgeable and friendly and they do a wonderful job focusing on both their culinary experience as well as their adventure excursions. They have an immense attention to detail and dedication to one-of-a-kind, delicious cuisine. Lapostolle A luxury wine lodge nestled among the vines south of Santiago. Located in the town of Cunaco, this winery was established in 1994 and today has a production capacity of 3.300.000 liters in stainless steel and French oak tanks and more than 3.500 French Oak Barrels. The winery is 100% gravity-fed spanning six levels and grapes are hand-harvested at night to ensure the utmost quality. 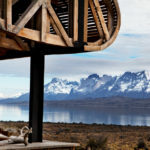 Hotel Vira Vira An enchanting hacienda surrounded by lakes and volcanoes in Northern Patagonia. Hotel Vira Vira is a farm-to-table luxury lodge situated in Chile’s lakes district. Fairly new to the scene (their doors opened in fall of 2014) this property is the perfect combination of modern and rustic. 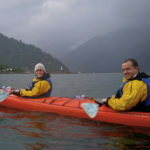 The owners Michael and Claudia have an impressive attention to detail with everything from the interior design to the included adventure excursions to the acclaimed gourmet food. I would highly suggest taking a tour of the on-site creamery and large-scale kitchen garden.